Makeup by Keri Ann: One of Houston's Top 20 Makeup Artists! One of Houston's Top 20 Makeup Artists! 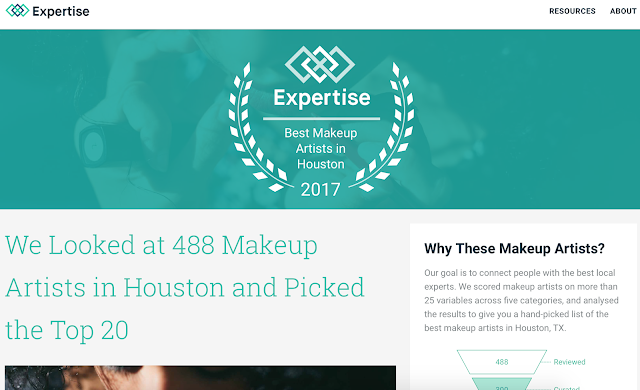 A friend recently googled my business and discovered that I had been identified as one of the top 20 makeup artists in Houston, TX! She asked me why I didn't tell her and I informed her that it was news to me! The website, Expertise.com, never contacted me or reached out to me to tell me I had been selected. But I am honored and thrilled to share the news with you! It is my honor to serve the most beautiful ladies in Houston for "ALL of life's special events!" Thank you, for the kind words! It's a pleasure to work with you too!